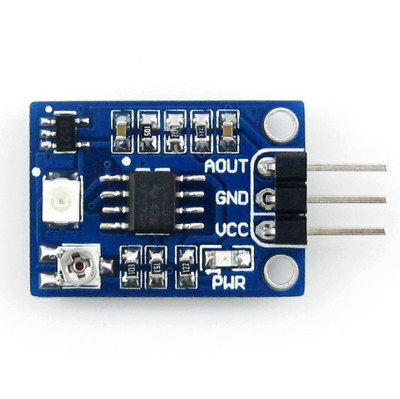 This UV Sensor Module is very useful sensor for detecting ultraviolet light. It works by outputing an analog signal which corresponds to the intensity of UV light receives by the sensor. There is an onboard amplifier circuit with adjustable amplification factor. If you are using this sensor with a microcontroller such as an Arduino, connect it in the following manner.